The Legend of Zelda: Breath of the Wild released to critical acclaim and the love of gamers around the world. Almost singlehandedly selling the newly released gaming system, the Nintendo Switch, Breath of the Wild reestablished Nintendo’s reputation as a dominant force in the game making space. Combining open world exploration, charming characters, and almost unlimited freedom of movement (including the ability to climb just about anything), Breath of the Wild topped Game of the Year charts over and over. However, Stories in Media focuses on the narrative elements of a product and analysis of story and character. To that end, it’s important to focus on Zelda and, specifically, her relationship to science. In the world of the game, Link fills the role of silent protagonist. He says nothing outside of a few grunts during combat or screams when falling. This largely adheres to the theories of the silent protagonist established decades ago that suggest such protagonists help players live in the role more fully. Breath of the Wild stunned gamers with its scope. So, since Link is silent, the primary characterization that occurs is among the characters he meets. To briefly set the stage, Link is a Hyrulean knight and reincarnation of an ancient hero. Link has filled that role time and again, saving his kingdom of Hyrule time and again, until he finally failed. Kept in stasis for 100 years, he emerges into a world in which Hyrule has fallen to the demon thief king Ganon. Villages are destroyed and the world is a barely inhabited shell of what it once was. Still, it survives through the efforts of Princess Zelda. Herself a reincarnation of the Goddess Hylia, she manages to keep Ganon from fully returning by using her magic powers. Still, she is a prisoner in Hyrule Castle and must be saved. The characterization of Zelda occurs largely through the memories that the amnesiac Link recovers throughout his journey. Some memories are almost impossible to miss while others you will have to go out of your way to recover. As you recover these memories, and interesting, and very unique, characterization of Zelda emerges. In almost all previous portrayals of Zelda, she’s been a strong ruler of her kingdom who quickly embraces her magical powers. This is most evident in Twilight Princess, when she uses her powers perhaps more frequently than in any other incarnation of the character. Though she doesn’t demonstrate any such powers in Ocarina of Time, she nevertheless comes across as someone who embraces the magical powers of the Triforce and its potential to save Hyrule. Even in Windwaker, though she is largely unaware of her being the princes for the majority of the game, he eventually comes to understand her power and draw upon it. Zelda knows a lot about frogs, and everything, in Breath of the Wild. The Princess Zelda of Breath of the Wild is significantly different. She’s not the pirate queen of Windwaker or the magic wielding, bold leader of Twiglight Princess. She’s a science nerd. 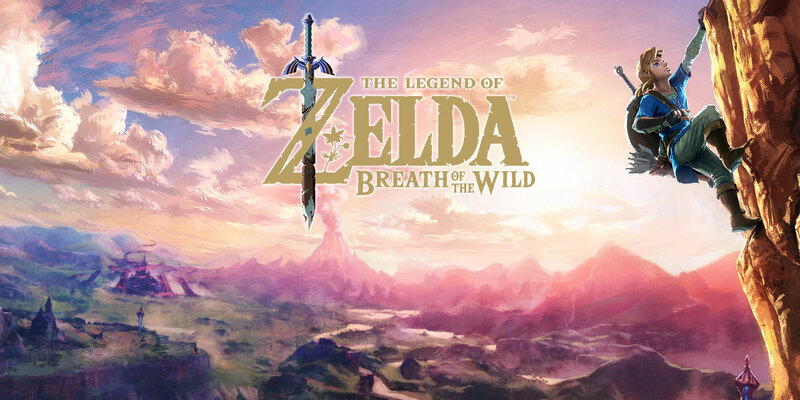 Whereas the majority of past games in the Zelda franchise have emphasized the importance of the reincarnated Link and the Triforce to saving the kingdom, the Zelda of Breath of the Wild believes science is the key to the future. She believes that to such a degree that it creates a rift between her and her father. To a lesser degree, it also creates a rift between her and Link. Zelda in Breath of the Wild distinguishes herself not so much because she rejects the need for her to become a leader for her people. Her character is as noble as ever. No, what’s different is that Zelda refuses to accept a life that’s been charted out for her. Rarely touched upon in the world of the franchise is the need for Zelda to always become a ruler, to always embrace the Triforce, to always accept Link as her champion. Although she doesn’t retain her memories from one incarnation to another, it’s clear that there are expectations put on her. Zelda is under some unreal pressure. Her father expects her to find the power of the Goddess inside of her and save Hyrule that way. Link expects her to live by the rules set on her and accept him as her protector. But more than what she’s expected to do, there’s also the issue of what she’s expected not to do. Her interest in science is treated as an annoyance by her father and, later, as actually harmful. He moves from tolerating her interest in it to actively discouraging her pursuit of it. Even if she feels it could save their kingdom, he will not tolerate her love of it and forbids her from researching the various machines that the kingdom discovers. This is the same Zelda who knows every type of flower and animal she finds when travelling. She understands much of the science behind the ancient machines they discover and is shown to have a close relationship with the scientists at the castle. The depiction is actually powerful though in it parallels to real world circumstances. Women, and particularly their relationship to science, have often been questioned. For year, the pursuit of science careers among women have been discouraged by family members and society. Young girls interested in such a path often feel discouraged to be within primarily male classrooms. Some report feeling isolated and overlooked by teachers. Zelda knows more about this piece of tech than anyone else. The situation Zelda is in during the story of Breath of the Wild is tragic because she’s punished for her own natural interests. Her deeply held conviction, that the kingdom’s ancient technology can save them, goes overlooked. In fact, the ghost of her father admits to Link that the Sheikah Slate, an ancient piece of technology in Link’s possession, will be a key to guiding him to victory. It’s a significant turnabout from a man who, 100 years earlier, demanded that his daughter stop performing research into that technology. Zelda, like women in general, was born into a world where societal expectations restricted the options she had for her life. Her character, her commitment to her people, was never in question. Her moral fiber was always strong, and she was committed to doing anything to save the kingdom. When her father demands she stop researching the technology, she does anything possible to awaken the Goddess’ power within her. The strength of Zelda’s character is never in question. Regardless of everything going on, Zelda always fights for her people. One wonders what would have happened if Zelda had been given more time to research the technology found beneath the kingdom. The destruction that fell upon Hyrule happened because Ganon corrupted that technology. What if she would have discovered that vulnerability? What if she had managed to safeguard the machines and use them as a defense against Ganon’s attack? Women with incredible potential are often not given the chances to make the contributions to society that they could because they’re forced down certain paths in life. Zelda was no different. There’s also a massive in-game parallel to the cage Zelda feels herself to be in. The Silent Princess is a flower that grows in Hyrule. In captivity, it doesn’t thrive. However, it blooms in the wild. The colors of the flower and its very name both reveal it to be a symbol of Zelda herself. Zelda, like the flower, cannot thrive when she feels herself caged. When allowed to be herself, when out in the world and pursuing her love of science and the natural world, she’s at her happiest. The Silent Princess, blooming in the wild. Breath of the Wild is no feminist treatise, but it illustrates, to a small degree, the pressures that women face. What contributions do we miss out on as a society by pressuring them away from following their hearts? For Hyrule, it means missing a chance to potentially save the kingdom from destruction. Still, if there’s some small comfort to be taken, the Zelda who emerges at the end of the story is free, for the first time, to pursue her love of science. For the first time in her life, she can be the woman she wants to be without the anxiety and fear that followed her when she was younger. Bonus! Enjoy one of the definitive songs from Breath of the Wild.